ABIDJAN, Côte d'Ivoire – Faced with alarming numbers of adolescent pregnancies, the Government of Côte d'Ivoire, with support from UNFPA, the United Nations Fund for Population, launched a national campaign to educate youth about sexual and reproductive health. A survey by the Ivorian Ministry of National and Technical Education revealed that 5,076 students became pregnant in primary or secondary school during the 2012-2013 academic year – representing a huge increase from the 2007-2008 school year, when 1,292 girls became pregnant. Eighteen-year-old Laetitia, in the town of Duékoué, was one of those girls. She found herself pregnant in January 2013. Her boyfriend, 21, was unemployed. "When my father found out I was pregnant… he was furious. I fled to Abidjan, where my mother had moved after she separated from my father, "Laetitia said. She travelled 457km to reach Abidjan, but when she arrived her mother was just as angry. She refused to allow Laetitia to live with her, insisting that the girl return to her father, until family members and neighbours intervened. Laetitia’s is far from an isolated case. In developing countries, 7.3 million girls under the age of 18 give birth each year, according to the 2013 UNFPA State of World Population report. 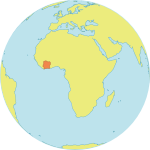 In Côte d'Ivoire, the adolescent birth rate is 111 per 1,000 girls aged 15 to 19. Adolescent pregnancy is not only a health issue; it is a development issue. “It is deeply rooted in poverty, gender inequality, violence, child and forced marriage, power imbalances between adolescent girls and their male partners, lack of education, and the failure of systems and institutions to protect their rights,” said Dr. Babatunde Osotimehin, UNFPA Executive Director . A variety of factors contribute to the Côte d’Ivoire’s high rate of early pregnancies, including “weak dispensation of sexuality education in schools, lack of communication between parents and children about sexual health and reproduction, the extent of early marriages, and lack of reproductive health services for adolescents and youth," according to Saidou Kaboré, UNFPA Assistant Representative in Côte d'Ivoire. Pregnancy also perpetuates poverty: It is one of the main reasons girls drop out of school early, undermining their access to future opportunities. She dropped out in the eighth grade. With technical and financial assistance from UNFPA, the Government of Côte d’Ivoire designed an “accelerated school pregnancy reduction” plan for schools, to be implemented from 2013 to 2015. The plan aims to improve students’ access to sexual and reproductive health information and services. It introduces sexuality education into the curriculum. Instructional worksheets on early pregnancies have already been developed. These will be integrated into ‘life skills’ lessons starting in grade 4 nationwide. Student clubs are also being created to raise awareness about sexual and reproductive health issues among youth. An arts and culture festival will be held in school around the country, encouraging students to create plays, poetry, stories and other art about the issue of pregnancy in schools. A phone line will soon be launched to provide callers with referrals to health services and youth clubs. And messages about health information and services will also be disseminated through leaflets, videos, radio announcements and SMS messages. A set of laws has additionally been introduced to increase penalties for the sexual abuse of minors, including sanctions against teachers who abuse their students. As part of the plan, a national campaign called "Zero pregnancy in school" was launched on 28 February by Kandia Camara, the Minister of National and Technical Education, in Bondoukou, one of the most affected areas. Students from several schools in the region brought banners to the event, displaying signs saying: "Zero pregnancy in school, I endorse it"; "I am a child. A child doesn’t bear a child. A child goes to school to succeed”; and "You don’t get a child pregnant”. During the launch, the Bondoukou Cultural Centre became a consultation site for young people, distributing information on sexual and reproductive health and family planning. One part of the centre offered a demonstration on condom use. Another part offered young people information on HIV prevention and an opportunity to learn their HIV status. Two rooms offered cervical cancer screenings by health workers of the Ivorian Association for Family Welfare, an organization supported by UNFPA. Other rooms offered counselling and access to contraceptives. On 2 April 2014, the Council of Ministers formally adopted the accelerated pregnancies reduction plan and affirmed its commitment to fight the vulnerability of girls in schools.